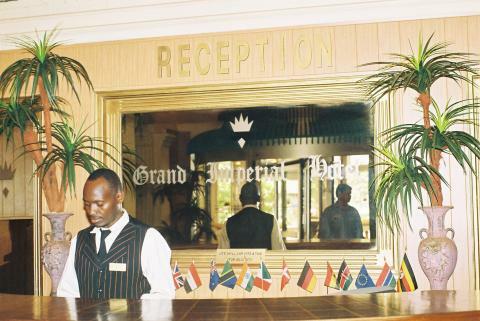 Located in the center of Kampala, the hotel is just a 30-minute drive from the International Airport, It offers 103 centrally air-conditioned rooms, including suites. It also has five-star restaurants, well-equipped conference facilities, a forex bureau, a doctor on 24-hour call, saunas and jacuzzis, a swimming pool, massage rooms, steam and spa baths, and a gym. There is also a shopping arcade and an exclusive in- hotel shopping mall, five function rooms and halls, and a full conference package.